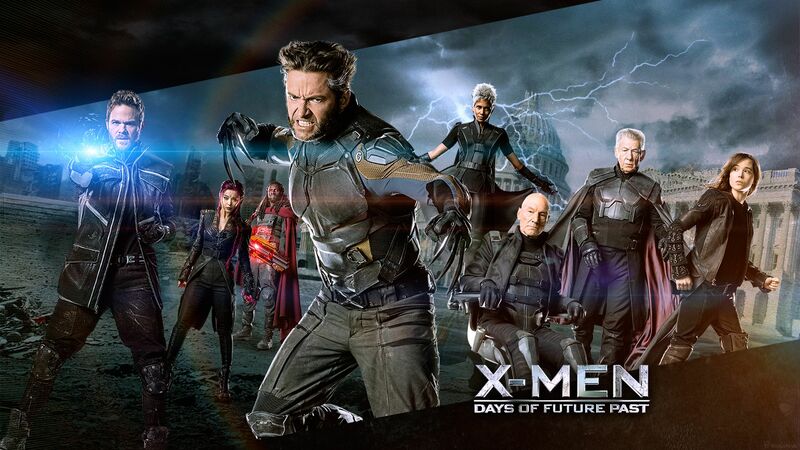 « X-Men Days of Future Past », mutants traveling in time to fixe mistakes of first movies, you have to see that! Release in May of this year, with Bryan Singer behind the camera like for X-Men First Class, we found this time the cast of the last movie and also some of the older for an epic episode! So, I am going to be as clear as possible about the story. In the future, robots named Sentinels, eradicate mutants and humans. Kitty Pryde (Ellen Page), Storm (Halle Berry), Bishop (Omar Sy), Wolverine (Hugh Jackman), Professor Xavier (Patrick Stewart), Magneto (Ian Mc Kellen) (and few others that I forget the name 🙂 ) find refuge in a Chinese monastery, trying desperately to escape from Sentinels. After losing almost hope, they tried a last think by sending (thanks to the Kitty Pryde power) the Wolverine’s mind in the past, and more precisely in the Wolverine’s body of the year 1973 to attempt to stop Mystique (Jennifer Lawrence) to kill Bolivar Trask (Peter Dinklage) the designer of the Sentinels. This murder bring to the arrest of Mystique whose DNA was used to upgrade Sentinels to give them the ability to adapt themselves to their enemy, mutants. They became almost invincible. This event cause the destruction of mutants, but also of humans, because those machines where created to eradicate the X gene (the reason why mutants exist) and decided to destroy the gene at the source, which is every human being (because according the mythology, every human carry this gene but it is not necessarily active). In this condition, Wolverine try to find a way in the past to team up the young Magneto (Michael Fassbender) and Professor Xavier (James McAvoy) in order to help him to stop Mystique and change the past to avoid the dark future happened. A lot of good ideas and good intensions, so we could only expected a success, and it was exactly what we get, a tremendous super-heroes movie! (you have to admit, you were thinking that I will say the opposite 😉 ) It is quite clear now that 20th Century Fox understood that the Marvel Universe is bankable if they think two minute of what they are doing, and Bryan Singer is the man for the job! With this new X-Men we do not get bored at all, not even a second. First of all, the dark future and the human life dedicated to be erased from the surface of the earth is really well put in place. It is totally believable, and we share the fear that survivors fell. Beside, all along the movie there is flash-forward (or flashback it depend where you are taking your reference… I know, it is strange but it is a movie about time travel, don’t complain 😉 ) on this apocalyptic future and the tension is almost tangible during more than two hours of movie. The second important point, really important, is the story, because it’s stand up, it is believable (of course if you considered that mutant exist 😉 ). We understand everything, it is not to messy, and well organized. It is a real pleasure. THE lack for all the three first movies (before first class) was a good clear story, and they understood that a worked script (at least a little) doesn’t hurt anyone. We want to know what appended to get this dark future, how Wolverine is going to gathered all this people against a common enemy. The script is as good as for First Class, even better. Concerning the cast, it is quite nice to see again all those people, a lot of actors from the three first movies and of course all the cast (almost) from the First Class movie. With of course the incomparable Hugh Jackman wearing the claws of Wolverine, appealing and bluffing than ever. Generally I am not like this but I am going be patriotic for once, Omar Sy is really so cool staring as Bishop but why so few on the screen? We only see him briefly. What a pity, I hope he will be back for the next X-Men with more time on the screen (yes, you read well, It will be surprising if you are not aware of that, but yes there will be another episode for 2016). The last point I would like to discuss, and it is really an astonishing one, if you give attention a little and think about what append during this movie, you will realize that DOFP managed to create a link between all the past movies and create a tangible universe. With this movie, the 20th century fox managed indeed to put in place a common universe, and succeed to make us forget the mess of the three first movies in order to start on good foundations. And for that I said to them Bravo, it is a master move. In summary, this new X-Men movie is a real success, moreover with dollars at the end of the road, around 750 million for a budget of 200, I think it is a nice result. I have to admit, at the beginning, when I heard about this project I did not really believe in it, First Class was good but maybe an accident along the way, but they proved I was wrong, DOFP is a super heroes movie as good as Iron Man and his friends (of course if you like super heroes movies). I gave him a score of a good 16/20. If you like super heroes’ movies, and Hugh Jackman ;), DOFP is for you without hesitations. Believe me, go for it meanwhile the next delivery in 2016! Let’s get back briefly on that parenthesis made earlier in this article, yes my dear brothers and sisters, another chapter is on the way! 😉 X-Men Apocalypse! The first stone of this movie was establish at the end of the movie DOFP with a post-generique scene. We can see a crowd of people (in the old Egypt) worshiping a man with a blue skin, and all those people saying « En Sabah Nur » while this man is building the pyramids of Gizeh with a telekinetic power. In the background, four horse men standing and looking at the scene. So it is quite clear, I am sure that you get the idea, this En Sabah Nur is none other man than the mighty powerful mutant Apocalypse with his four horse men of Apocalypse. So this next episode is full of promises, and it is on a way to be one of the most epic X-Men and superheroes movie! Cette entrée a été publiée dans Articles Anglais, Critiques cinéma, English post, Movies reviews et taguée 20th Century Fox, action, Anna paquin, apocalypse, Bishop, Bolivar Trask, bryan singer, Chine, cinéma, Ellen page, Evan Peters, Famke Janssen, film, gène X, Halle Berry, hugh jackman, Ian Mc Kellen, iron man, James McAvoy, jennifer lawrence, Kelsey Grammer Best, Kitty Pryde, magneto, marvel, Marvel univers, michael fassbender, movie, mutants, Mystique, Nicholas Hoult, Omar Sy, Patrick Stewart, Peter Dinklage, professeur xavier, quatre cavalier de l’Apocalypse, Sentinels, Shawn Ashmore, Storm, super héros, superheroes, télékinésie, time travel, univers Marvel, Voyage dans le temps, voyage temporel, wolverine, X-Men Apocalypse scène post-générique Egypte En Sabah Nur pyramides gizeh, X-Men Days of Future Past, X-Men First Class. 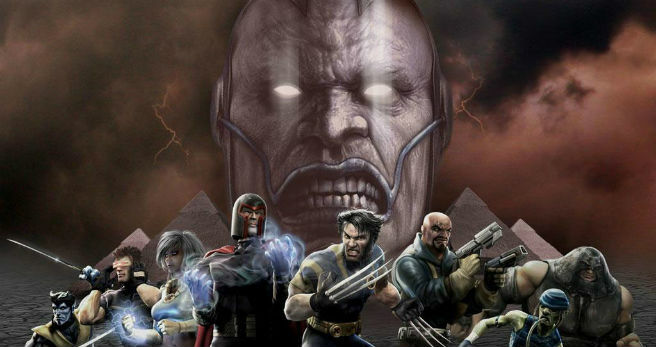 « X-Men Days of Future Past », les mutants voyagent dans le temps pour réparer les erreurs des premiers films, c’est à voir ! Sorti en Mai de cette année avec Bryan Singer toujours derrière la caméra comme pour X-Men First Class, nous retrouvons cette fois-ci les acteurs majeurs des anciens films et du dernier en date pour un épisode épique. Alors je vais essayer d’être claire au niveau de l’histoire. Dans le futur des robots nommés les Sentinels exterminent les mutants, tout comme les humains. 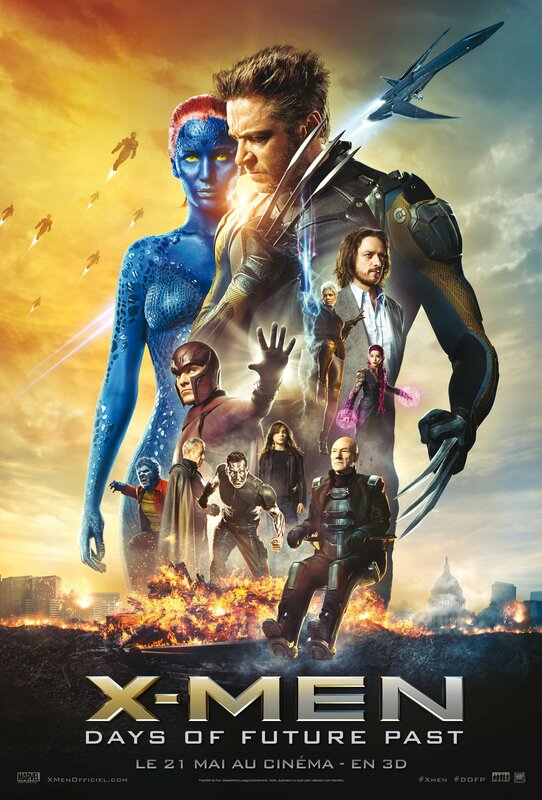 Kitty Pryde (Ellen Page), Storm (Halle Berry), Bishop (Omar Sy), Wolverine (Hugh Jackman), Professeur Xavier (Patrick Stewart), Magneto (Ian Mc Kellen) (et quelques autres dont j’ai oublié le nom 🙂 ) se sont réfugiés dans un monastère en Chine et essayent désespérément d’échapper aux Sentinels. Presque à bout d’idées et d’espoir, ils tentent un dernier coup d’éclat en envoyant (à l’aide des pouvoirs de Kitty Pryde) la conscience de Wolverine dans le passé, et plus précisément dans le corps du Wolverine de l’année 1973 pour empêcher Mystique (Jennifer Lawrence) d’assassiner Bolivar Trask (Peter Dinklage) le créateur de ces Sentinels. Cet assassinat a entrainé l’arrestation de Mystique dont l’ADN fut utilisé pour rendre les Sentinels toutes puissantes, car suite à cela elles devinrent capable de s’adapter à leur adversaire (à savoir les mutants) les rendant presque invisibles. Cet événement entraina la destruction des mutants, mais aussi des humains, car ces machines paramétrées pour détecter le gène X (celui qui engendre les mutations) ont fini par se mettre à le détruire à la source, à savoir chaque humain évoluant sur la planète (car selon l’histoire tout humain est porteur de ce gêne mais il ne s’exprime pas forcément). C’est ainsi que Wolverine se retrouve projeté dans le passé, et part à la recherche des jeunes Magneto (Michael Fassbender) et Professeur Xavier (James McAvoy) afin que ces derniers l’aide à changer le passer et éviter que le futur qui les attends se produise. Beaucoup de bonne idées et de bons sentiments, et on ne pouvait qu’attendre une réussite, et ce fut le cas ! (avouez, vous pensiez que j’allais dire le contraire 😉 ) Il est clair dorénavant que la 20th Century Fox a compris que l’univers Marvel est rentable si l’on fait attention à ce que l’on fait, et Bryan Singer est l’homme de la situation. Ce nouvel X-Men est mené à tambour battant, on ne s’ennuie pas une seconde. Tout d’abord, le futur sombre et vouée à la destruction totale de toute vie sur la planète est très bien mit en place. On y croit, et on partage la peur des survivants. D’ailleurs, tout au long du film il y a des retours sur ce futur apocalyptique et la tension est presque palpable durant les plus de deux heures de films. Le second point très important, l’histoire tiens debout. Et c’est un bonheur. On a quelque chose à se mettre sous la dent et on s’en délecte. Lacune de tous les films précédent First Class, ils ont compris maintenant qu’un scénario un peu travaillé ne fait de mal à personne. On veut savoir comment tout s’enchaine pour entrainer ce sombre futur, comment Wolverine va parvenir à rallier tout ce petit monde pour s’unir contre cet ennemi commun. Le scénario est tout aussi bon que pour First Class, voir encore plus travaillé. Côté casting il est particulièrement agréable de revoir tout le petit monde, de nombreux acteurs des premiers films reviennent, tout autant que ceux de First Class. Avec bien entendu l’inégalable Hugh Jackman au bout des griffes d’un Wolverine plus attachent et bluffant que jamais. 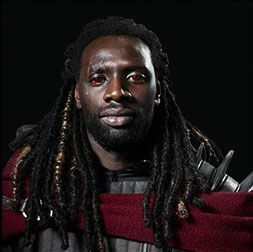 Par contre je vais faire un peu le patriote pour une fois, Omar Sy est vraiment super méga classe en Bishop, mais POURQUOI si peu ???? On ne le voit que brièvement. C’est très dommage et j’espère sincèrement qu’il reviendra dans le prochain (oui, oui, si par hasard (ce qui serais étonnant) vous n’êtes pas au courant, un nouvel épisode est en chantier pour 2016). Le dernier point assez bluffant est, en faisant attention et en y réfléchissant un peu, que ce DOFP réussi à créer une connexion entre tous les films et génère un univers commun. Avec ce film la Fox met bel et bien en place un Univers cohérent et fait oublier le cafouillage des premiers films. Et pour cela je leur tire vraiment mon chapeau. C’est un coup de maitre. En résumé, ce nouveau X-Men est une vrai réussite, avec en plus les dollars au bout du chemin, environ 750 million pour un budget de 200, je trouve que c’est pas mal du tout. Je dois avouer que je n’y croyais pas vraiment, First class était peut-être un accident de parcours, mais je me trompais, DOFP est un film de super héros tout aussi con que la bande à Iron-Man. Je lui octroie un bon 16/20. Si vous aimez ce genre de film, DOFP est pour vous sans hésiter. Croyez-moi, foncez-vous régaler en attendant la prochaine livraison en 2016 ! Revenons brièvement sur la petite parenthèse faite plus tôt dans cet article, oui mes chers frères et sœurs, un autre chapitre est en chemin ! 😉 X-Men Apocalypse ! La première pierre est mise en place à la fin de DOFP avec une scène post-générique où nous pouvons voir une foule de personnes (à l’époque de l’ancienne Egypte) prosternée devant un homme et psalmodiant « En Sabah Nur » alors que cet homme est en train de construire les pyramides (de Gizeh je suppose) à l’aide de son pouvoir de télékinésie, et en arrière-plan nous pouvons voir quatre cavalier observant le spectacle. Vous l’aurez compris, ce En Sabah Nur n’est autre que le mutant surpuissant Apocalypse en compagnie de ses quatre cavalier de l’Apocalypse. Cela présage un épisode ENORME ! Renseignée vous un peu sur cette petite histoire, et vous verrez, vous serez aussi impatient que moi de voir ces nouvelles aventures ! Cette entrée a été publiée dans Articles Français, Critiques cinéma, French post, Movies reviews et taguée 20th Century Fox, action, Anna paquin, apocalypse, Bishop, Bolivar Trask, bryan singer, Chine, cinéma, Ellen page, Evan Peters, Famke Janssen, film, gène X, Halle Berry, hugh jackman, Ian Mc Kellen, iron man, James McAvoy, jennifer lawrence, Kelsey Grammer Best, Kitty Pryde, magneto, marvel, Marvel univers, michael fassbender, movie, mutants, Mystique, Nicholas Hoult, Omar Sy, Patrick Stewart, Peter Dinklage, professeur xavier, quatre cavalier de l’Apocalypse, Sentinels, Shawn Ashmore, Storm, super héros, télékinésie, time travel, univers Marvel, Voyage dans le temps, voyage temporel, wolverine, X-Men Apocalypse scène post-générique Egypte En Sabah Nur pyramides gizeh, X-Men Days of Future Past, X-Men First Class.